Free udemy course............ Rapid Concept Generation walks engineering students through various ways to rapidly develop concepts. 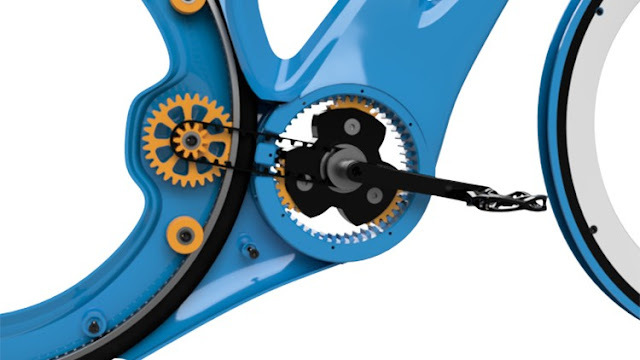 We'll explore how to quickly develop and verify mechanical motion as well as ways to create solid geometry for a bicycle frame, quickly allowing you to verify mechanical motion and geometry challenges before committing to a final design. All while continuing the design of a concept bicycle. After completing this course, you'll have the knowledge and understanding of how to create concept mechanical designs in Fusion 360. This course will focus on foundational elements in parametric design and assembly creation as well as rapid concept generation through subdivided modeling and various other modeling techniques. So, follow along with us as we work through a bicycle drive system and frame concepts! Mechanical Engineering students interested in rapid concept generation.